Yesterday we revealed Email Marketing Rules For Your Shopify store. Today we cover pretty much “EVERYTHING” in our Q&A session. It’s only Day 25 and we’ve already completely built our Shopify store – surpassing $5k in sales! This particular Bizathon has piqued a lot interest, and the volume of inquiries we’ve been seeing on the site and via email is humbling. To ensure similar success for everybody following this challenge, we’ve addressed our most frequently asked questions about Shopify Problems below. Once you identify both your winning products and winning ad sets, you’ll want to scale from there. 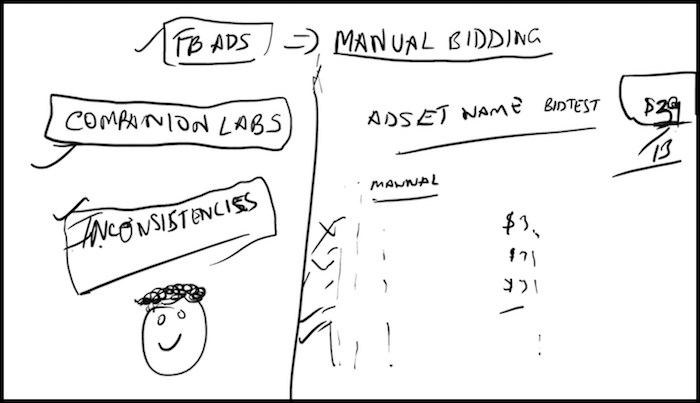 Manually bidding on each of your adsets can get tedious especially as your store grows. The solution we’ve found to this problem is a stand alone app called Companion Labs. Let’s say you setup an ad set and begin spending $20 a day on it and you recognize pretty quick that it’s profitable for you. You’ll want to begin scaling that add by retargeting specific audiences with specific bid prices. Now, once you save that ad set with the name change, Companion Labs will automatically create 13 new ad sets with manual bidding already handled. It will automatically divide your predetermined budget by 13 and evenly disperse the ad spend over each of the ads. There is no right & wrong definition on how to run Facebook ads. We often suggest setting your ad goal to “conversion” rather than “engagement,” but that may not be best for you and your particular Shopify products. That said it’s a good idea to duplicate all of your ad sets and change the goals up to see which Facebook rewards and which converts the best. Returns are part of doing business. Especially since you’re drop-shipping, anything can happen. Customer may hate the product, a product may take forever to arrive, something might get damaged in the process, etc. The point is, as a responsible and aware business-person, it’s important to have a return / refund policy clearly stated and visible not only from the website footer but mentioned on every product page. Here’s an example of our Common Panda return policy. Remain as transparent as possible with your customers and respond to all requests. Somehow people are still surprised when they come across various startup costs. While it doesn’t take much, it does take some money to get your Shopify store up and running with traffic flowing. Rito and I would both agree that it will realistically cost you about $75 – $100 to build a legitimate, functioning and converting Shopify store. If you’re struggling, go back to Day 1 and work your way through the Bizathon, taking things one day at a time. That’s it for Day 25 – Well done! P.P.S. Click here for Day 26!